This Thursday, just before World Cup kickoff between Russia and Saudi Arabia, we will be releasing the FIFA 14 ModdingWay Mod World Cup udpate. We are working on the final details. All 32 teams playing world cup with their updated rosters and kits as well as 29 nations that did not qualify like Italy, Netherlands, etc. 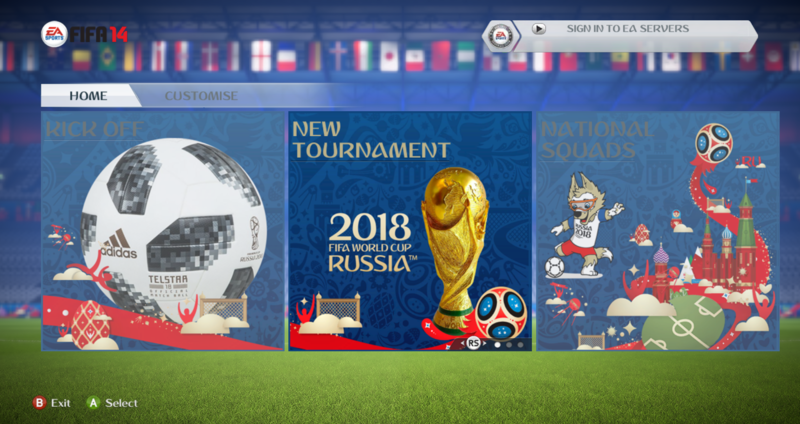 From new menus to a new soundtrack including present and past World Cup songs. The tournament with almost accurate schedules and much more coming in next update.